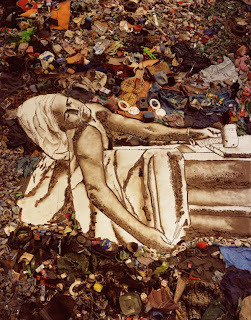 If you are ever in the mood for a touching and inspiring documentary, I highly recommend "Waste Land" (2010). 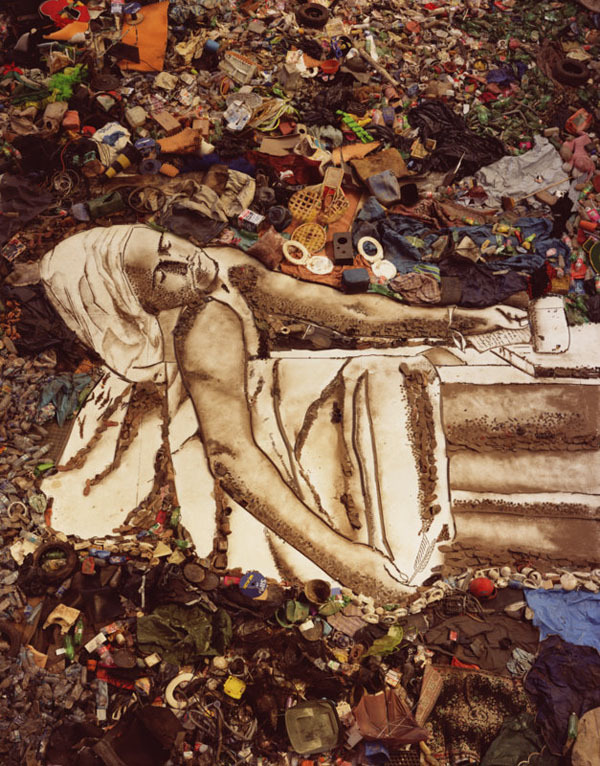 It follows artist Vik Muniz as he travels to the largest garbage dump in Rio de Janeiro and meets some interesting "catadores" or pickers; the people who toil in the dump collecting recyclable materials. As he meets these people you get involved in each of their stories. 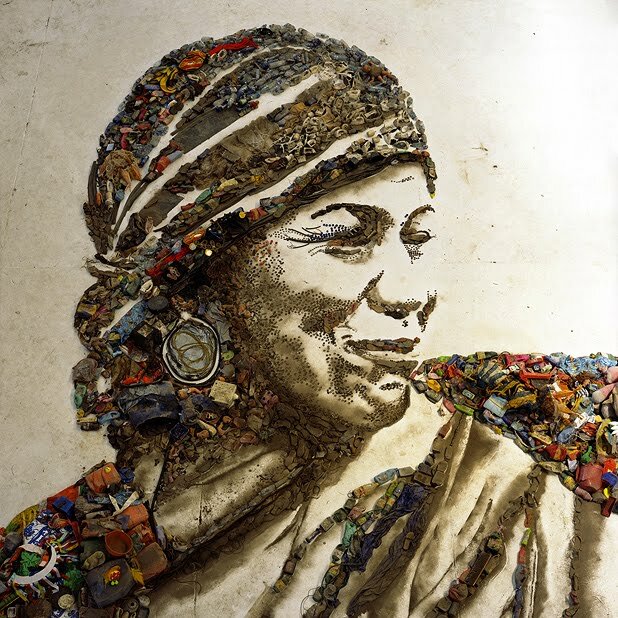 I was also intrigued by Muniz' creative process and how he went about creating these beautiful, large-scale, trash mosaic photographs. 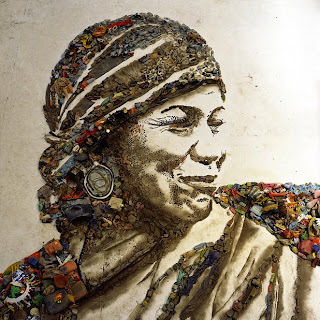 I probably shouldn't say any more...let's just say he uses his art to help each individual as well as the community of pickers. I was telling my class of 7th graders about this film and you never really know what gets through to them (I have a 7th grader of my own at home), but when it came time for their school to do their annual pumpkin auction, many of the students couldn't wait to get their pumpkins and begin to decorate them. As a class we took one class period and each student was given a little gourd, a black Sharpie marker, black and white paint, some odds and ends and asked to create some type of unusual face. It was a rather chaotic class but they came up with some great little faces which I placed on a wreath. Photos of some of the creative pumpkins can be seen in the OC Register. The great part about this auction is that the money earned will go to a homeless shelter and a college fund for two Nairobi students...everybody wins...and that's the greatest treat anyone could ask for at Halloween.